Police officers perform a variety of services for the City of Fitzgerald from trainings to educational programs. The Hire an Officer Program will allow clients to hire off-duty officers on a contract basis to provide a police presence at their events. Officers will not be assigned to any function that requires that they act outside the normal scope of police duties. If you would like to hire an officer for your event, please complete and submit the Hire an Officer Form well in advance of your event. The Fitzgerald Police Department Honor Guard functions as ambassadors for the Fitzgerald Police Department and the City of Fitzgerald. The Honor Guard presents the nation's, state and city colors at many annual events such as the Fourth of July, Veteran's and Memorial Day services and many other local events. The Fitzgerald Police Department Honor Guard works alongside the Fitzgerald Fire Department Honor Guard for many events forming a joint Honor Guard. 1. Participants will perform simple sobriety tests without the goggles to establish a sober baseline. 2. The exercise is then repeated while wearing the Fatal Vision Goggles. Participants typically struggle to maintain their balance, equilibrium, reaction time, targeting and will exhibit behaviors similar to an individual under the influence of alcohol. 3. Participants gain an understanding of the impact of alcohol on their ability to function. The experience can be used to support lessons about impaired driving, high risk or binge drinking, underage drinking or any initiative dealing with the misuse and abuse of alcohol. We incorporate the corn-hole game, a driving course and other items to demonstrate the effects of impairment. To request a Fatal Vision program or event, make a request for a special service or call (229) 426-5000. Back in 1980, a dog in a rumpled trench coat said, "You don't know me yet. But you will." Since then, McGruff the Crime Dog has taught millions of people that the police can't fight crime alone - crime prevention is everybody's business and everyone can help "Take A Bite Out Of Crime." for children and teens to protect themselves from substance abuse, bullies, and gangs. 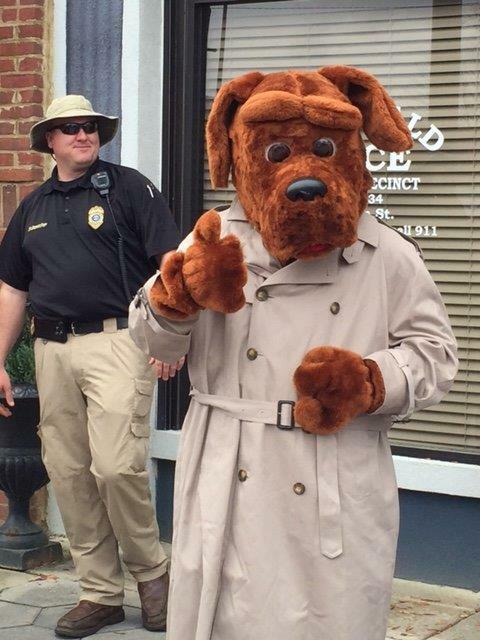 In 2015 the Police Department with the support of several businesses was able to purchase a Robotronic McGruff costume. We have been in programs at our schools, festivals and other events. Anyone interested in having McGruff at an event may make a request for a special service. 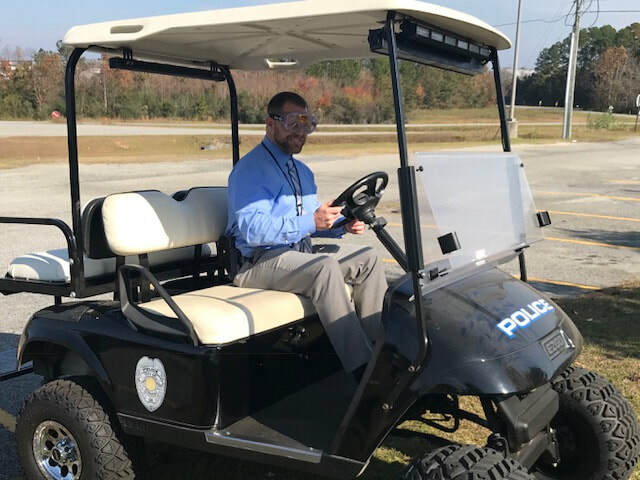 The Citizens Police Academy is a twelve week, 24 hour program designed to replicate in miniature the requirements for becoming a Police Officer in the State of Georgia. The Academy purpose is to allow citizens to take part in the purest aspects of the criminal justice field, to allow a better understanding of challenges faced by local law enforcement. Candidates for the Citizens Police Academy are chosen by an application process and a criminal records background check. Applicants can also be recommended by current law-enforcement personnel, and by former Citizen Police Academy graduates.